10 3/4 x 13 1/4" - Great for Mother's Day! 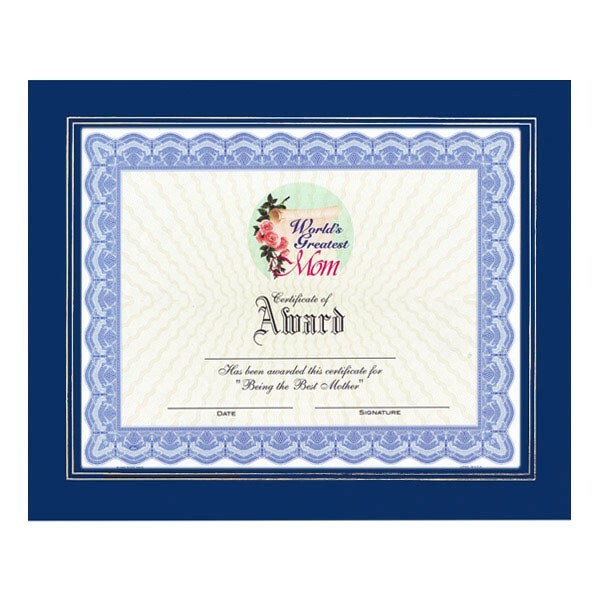 World's Greatest Mom Certificate with royal blue leatherette certificate frame. Space to enter name, date, & signature on certificate.